The holiday season has officially begun with plenty of parties and merriment to go around. From mistletoe to carols to stockings, the holidays have a way of sweeping us up into the festive spirit. 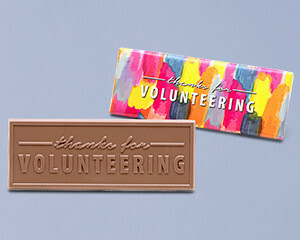 And gift giving is part of the fun. Gift giving has a special place in our lives and it traces back to the beginnings of human culture. Research has found that giving gifts has multiple benefits for the human psyche including an improved state of mind and an increase in social connectivity. There’s nothing like the feeling of giving a gift that you know someone will love. The most memorable gifts are thoughtful and meaningful. That’s where we come in. 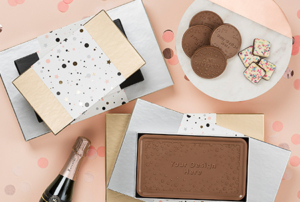 Totally Chocolate offers a unique opportunity to express your love, gratitude or appreciation through a custom box of chocolates and incredible packaging. 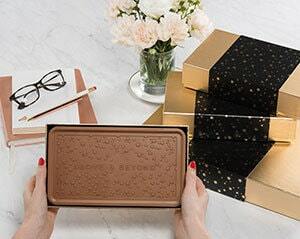 Whether it’s business or personal, Totally Chocolate is a remarkably unique gift idea, especially during the holiday season when everyone wants to give a gift that stands apart from the rest. 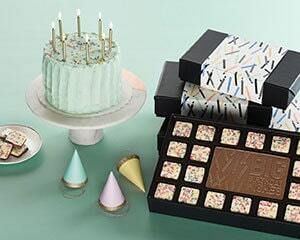 Our chocolates are so much more than just a sweet treat, they are a visual and edible experience. 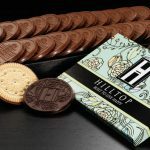 The chocolate we use is sourced from cocoa beans grown by well-paid farmers in Africa, and the final product contains the highest quality ingredients. We ensure that every step of the process meets the highest standards. 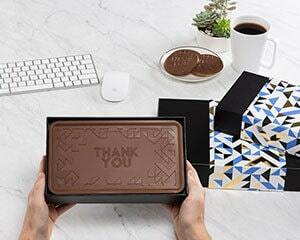 If you are wondering how Totally Chocolate can work for your holiday gifts, the sky is the limit. Basically if you can think it, we can (almost definitely) do it. 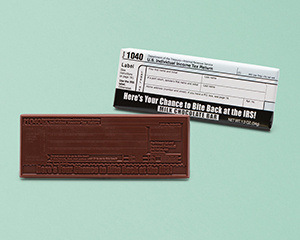 Impress clients and customers by having your custom logo perfectly engraved directly on to the chocolate bar. Don’t forget to think about the packaging, too! 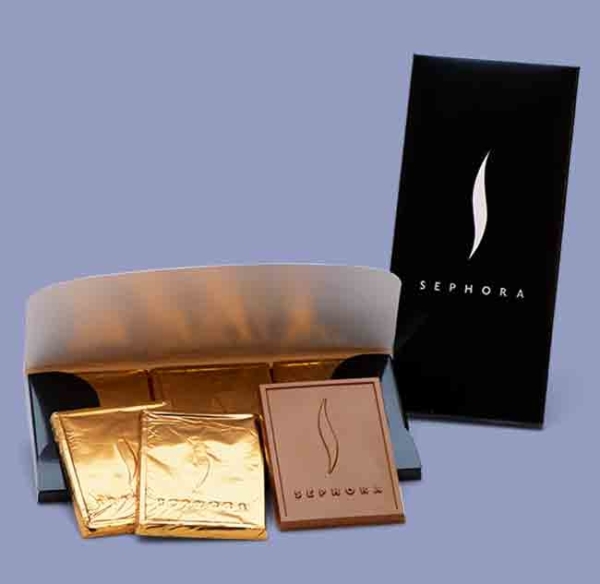 Made with either Belgian milk or dark chocolate, we create stunning chocolate bars with customized designs. 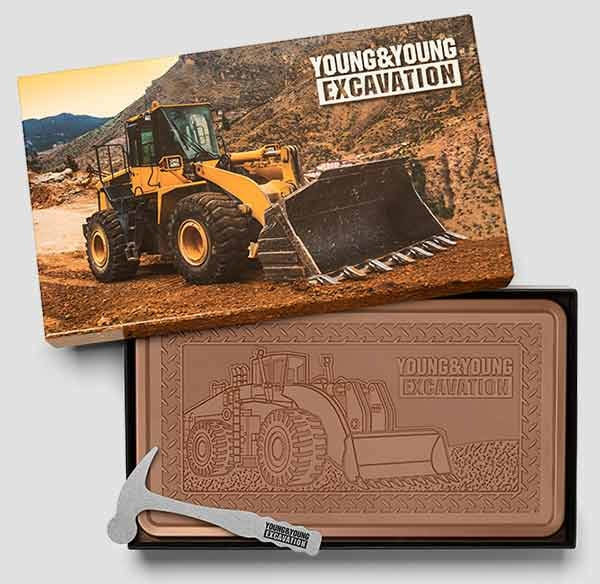 We can accommodate any kind of art work and engrave with incredible precision and detail. Truly an unforgettable gift. 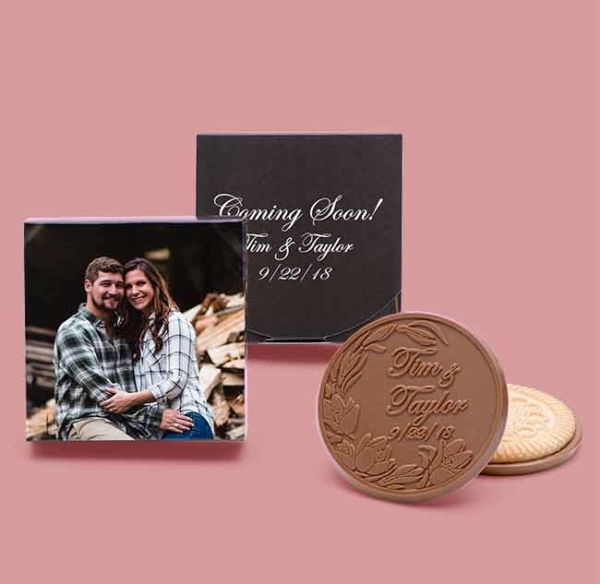 It might surprise you to know that we offer customized cookies, too. 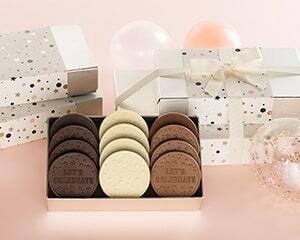 With an assortment of flavours and packaging options, our high quality and delicious cookies are always a hit. 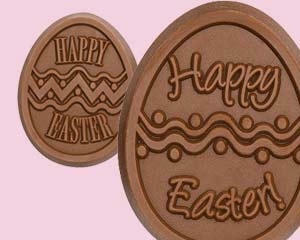 We also have pre-designed cookies that are fan favorites. Stuck for an idea? Browse our selection of beautiful pre-designed products. Our excellent assortment means that you’ll be sure to find something for even the hardest-to-buy-for person. We will deliver within three business days if you’ve left it to the last minute! If you do have an idea, we are happy to help. Our in-house artists create custom designs out of your ideas, from business logos to capturing a memory. 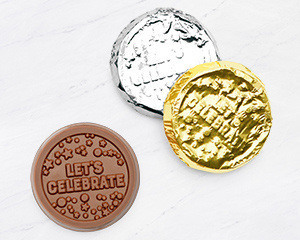 Then, our precision-engraving techniques take your ideas and turn them into chocolate designs that are sure to thrill anyone. Large or small, simple or complex, we help bring ideas to life. We have been helping customers give that “wow” factor for more than 25 years, making us leaders in the industry. Our experience means that we have invested a great deal of time to perfect our technique, and we are constantly improving our process. No other company offers the same amount of precision and exquisite detail. 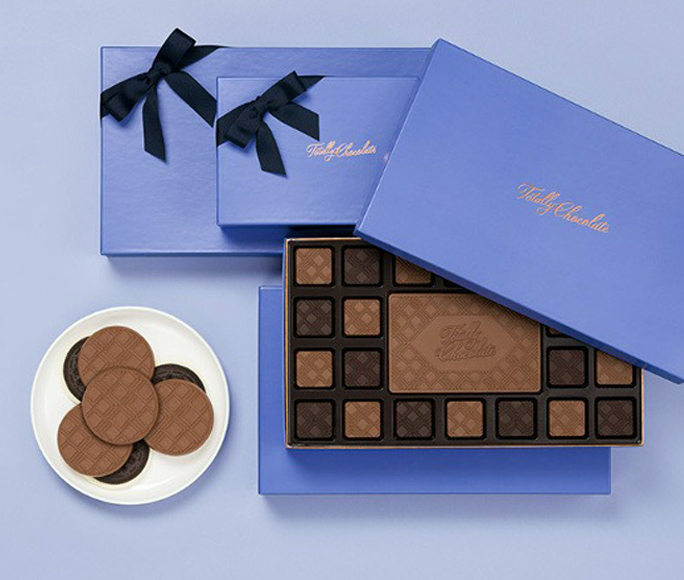 At Totally Chocolate, we set the highest standards for ourselves and our products, so that we can offer our customers the most exciting chocolate and beautiful packaging. 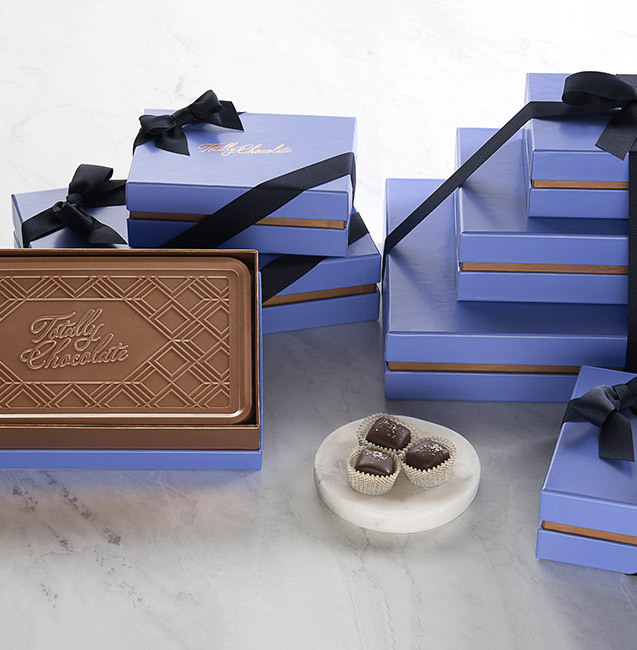 Totally Chocolate is based in Blaine, Washington and serves customers across the United States, Canada and worldwide. 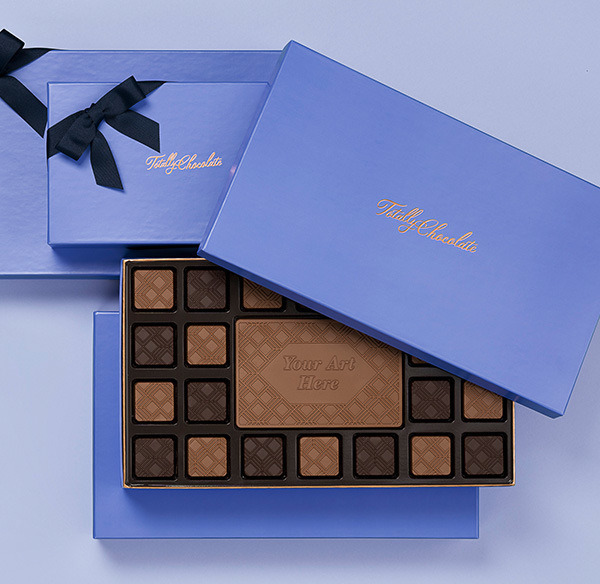 Once we create your customized chocolate and beautiful packaging, we can ship your order back to you or directly to the recipients of this incredible gift. 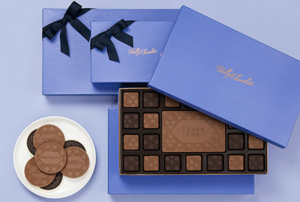 If you are looking for a holiday gift idea that is sure to impress and amaze, look no further than Totally Chocolate. Get in touch with us today to see how we can bring your idea to life.